The CEO of Canada's largest telecommunications and media group said Thursday that a government ban on Huawei network equipment wouldn't delay the company's plans for rolling out fifth-generation wireless services. 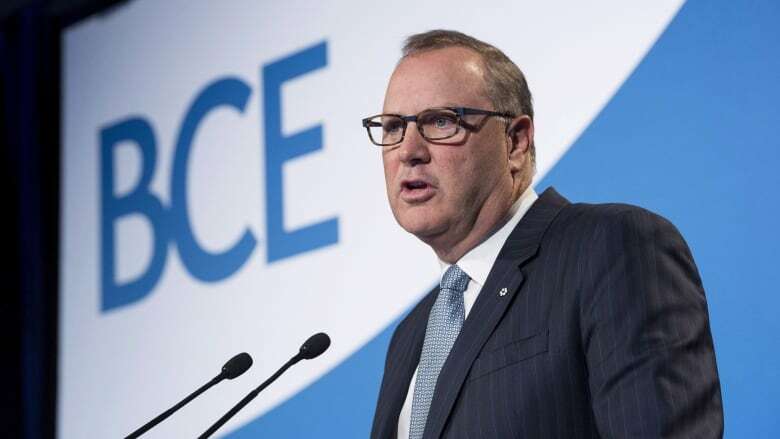 BCE chief executive George Cope told analysts on a conference call that the company "clearly recognizes the issues at play" in regard to Huawei Technologies Inc., and is prepared to manage the situation as it unfolds. Huawei, a global telecom equipment supplier based in Shenzhen, China, has been accused of posing a potential risk to national security because of a Chinese law that requires companies to co-operate with intelligence gathering if asked. Huawei has responded that it hasn't been asked by China to subvert security on customer equipment — and said it wouldn't comply because such a betrayal of customers could destroy the company. Canada's government continues to weigh a ban on Huawei equipment from Canada's fifth-generation networks, which pose different security risks from 4G and 3G networks. Cope, who is CEO of both BCE and Bell Canada, told analysts during a regular quarterly conference call that the company is "quite comfortable" that it can manage all the potential developments. He added that the outcome of the decision won't "in any way impact our timing in the market for 5G." Bell, Telus, Rogers and Shaw — as well as networks around the world — have been investing billions to upgrade their networks for fifth-generation capability, which is expected to transform the industry over the next decade. Bell and Telus have been using some Huawei equipment in 5G network trials, but other possible suppliers include Ericsson and Nokia. Rogers is working with Ericsson while Shaw has been working with Nokia. Prior to the conference call, BCE announced that it had 143,000 net subscriber additions in the fourth quarter, including 21,000 net additions to the Lucky Mobile pre-paid service that was launched in late 2017. However, BCE chief financial officer Glen LeBlanc told analysts that the wireless segment performed well in terms of subscriber profitability and cash generation. Wireless revenue grew 4.6 per cent from last year, driven by a larger subscriber base, a higher proportion of customers choosing larger data plans as well as increased sales of more expensive smart phones, LeBlanc said. However, BCE's overall net profit was down eight per cent compared with the fourth quarter of 2017, due to higher expenses that are excluded from adjusted earnings. Those expenses included a $190-million non-cash asset impairment charge related mainly to Bell Media's French-language specialty TV properties, which have experienced a declining subscriber base.